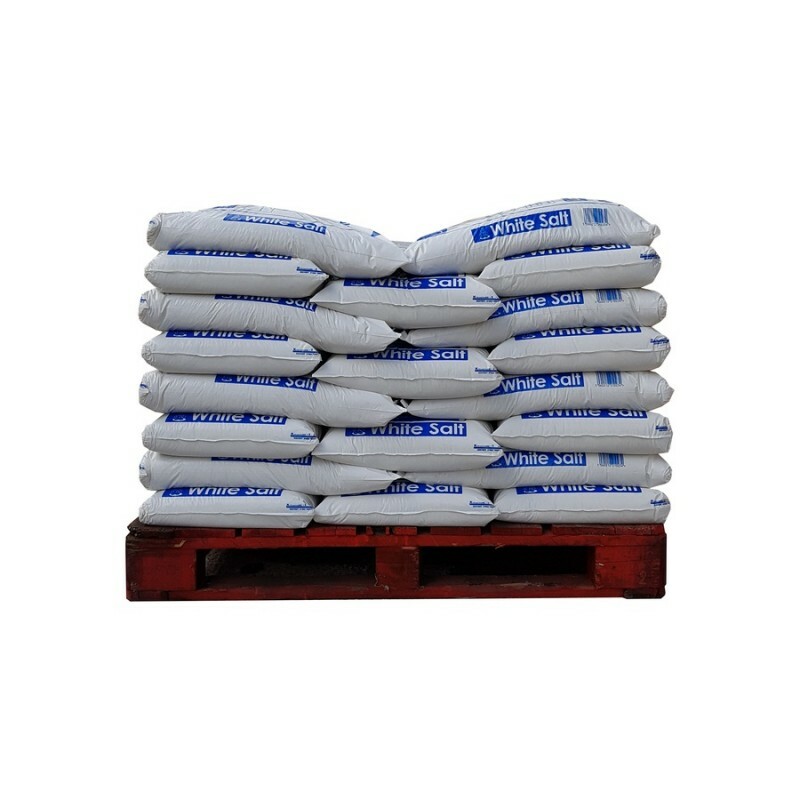 Full pallet of Large White Salt Bags for melting snow and ice. 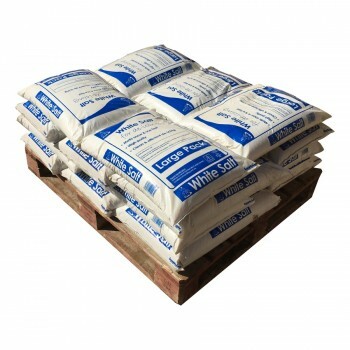 A full pallet of our Large White Salt Bags will give you 40 bags of clean, white de-icing salt. These bags are a perfect solution for gritting your paths, driveways and pavements to make them safer during the winter months. Our Maxi Bags are large bags of white salt and are a preferred choice for schools, shopping centres and business premises who use them to make their public areas safer during the winter months but also need to keep their properties clean. 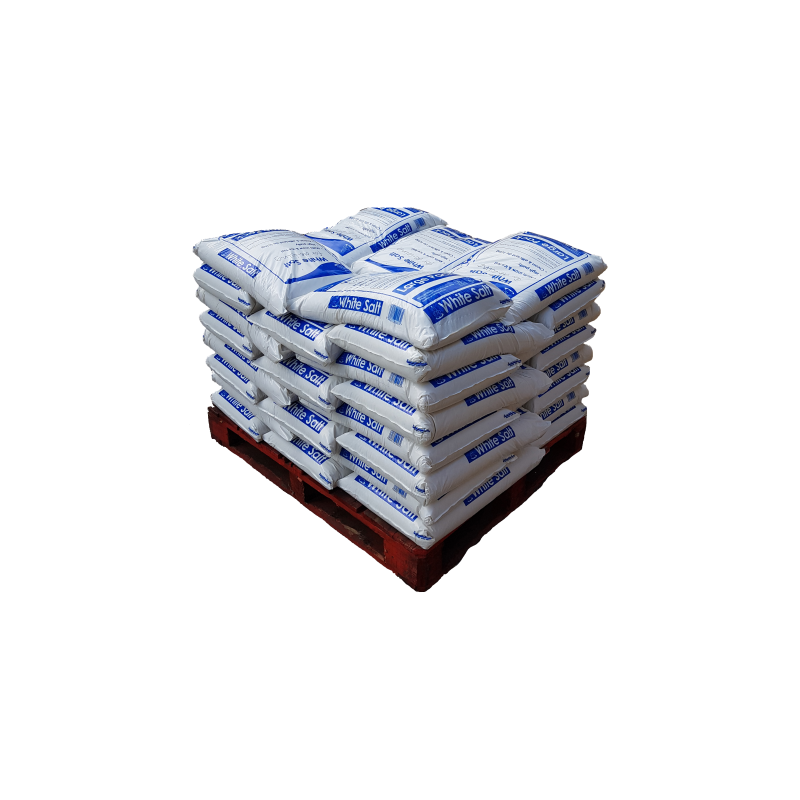 Each bag contains high quality white de-icing salt that has been treated with anti-caking agents (50 mg/kg) to stop it forming lumps and clumping together. The maxi bags are prefect for long term storage as the bags protect the salt, so there is no need to worry if you do not use them straight away. 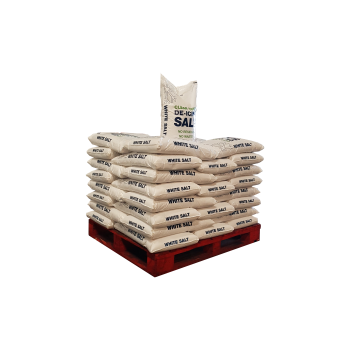 Our large white salt bags contain the highest-grade white de-icing salt available in the UK that complies to BS3247. Our de-icing salt is not mixed with any additives like sand or grit, so it is very effective at melting ice and snow. 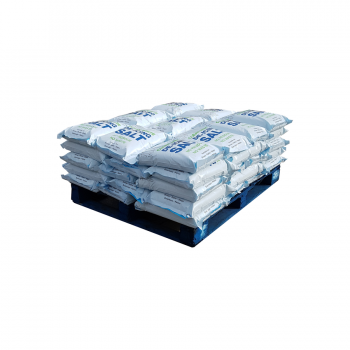 Your pallet of 40 white salt bags will be delivered to the nearest kerbside or hard standing with a tail lift. Please make sure you have provisions in place to move you pallet of slat if required. Please enter your post code and we will calculate the delivery cost for this product.